The Season 6 finale of Homeland starring Claire Danes, F. Murray Abraham and Mandy Patinkin airs tonight, Sunday, April 9. 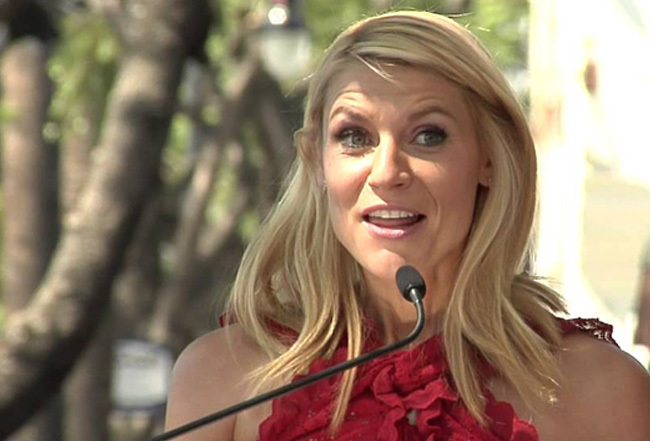 Take a look at this video of Claire Dane‘s Official Hollywood Walk of Fame ceremony from 2002. To see more Official Hollywood Walk of Fame Star ceremonies, be sure to visit our Vimeo channel. And don’t forget to download the Official Hollywood Walk of Fame App, which includes media from hundreds of Official Hollywood Walk of Fame Star ceremonies. Available now on iTunes and Android.